Of course, the number one way to avoid getting busted smoking weed in public is to just smoke at home. Depending on where you live, sparking the ganja in public can be tricky. Not only do you have to find the perfect spot to toke, but you also have to figure out how to not get caught. It’s not just the police you have to worry about, either. You also have to keep an eye out for the nosey passerby. 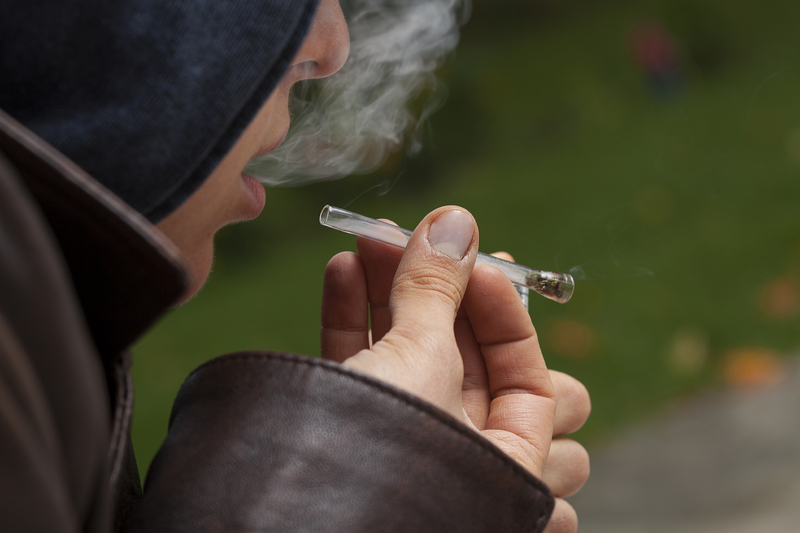 Of course, the number one way to avoid getting busted is to just smoke at home. But in case the time comes when you have no other choice, here are ten tricks to help you get away with smoking weed in public. Rather than smoking your herb, vaporize it instead. While there’s still a pot smell present when vaporizing, it’s less noticeable. And since plenty of people out there use vaporizers to get their daily dose of nicotine, no one should question you for pulling one out. As long as you don’t puff on it right beside a cop, you should be okay. Cigarette smoke is a lot stronger than weed smoke. Not to mention, cigarettes produce just as much smoke as joint. If you want to blend in, just light up around a bunch of cigarette smokers. More than likely, no one will be able to smell you, unless you’re smoking some pretty potent dank. Getting caught while smoking shouldn’t be your only concern. A ton of people has been busted simply for smelling like pot. For this reason, it’s best to keep some body spray on you at all times. That way, you can spritz yourself whenever you need to. Blunt smokers, this nifty little trick is for you. While this method won’t disguise the smell of your bud, it will help you discreetly get high. All you have to do is slide the blunt into the bottom of the straw, apply the lid, and “sip.” Genius, right? The downside to using Urban Wraps is that people around you will still be able to smell your weed. However, they are designed to look just like a cigarette, making them perfect for burning in designated smoking areas. 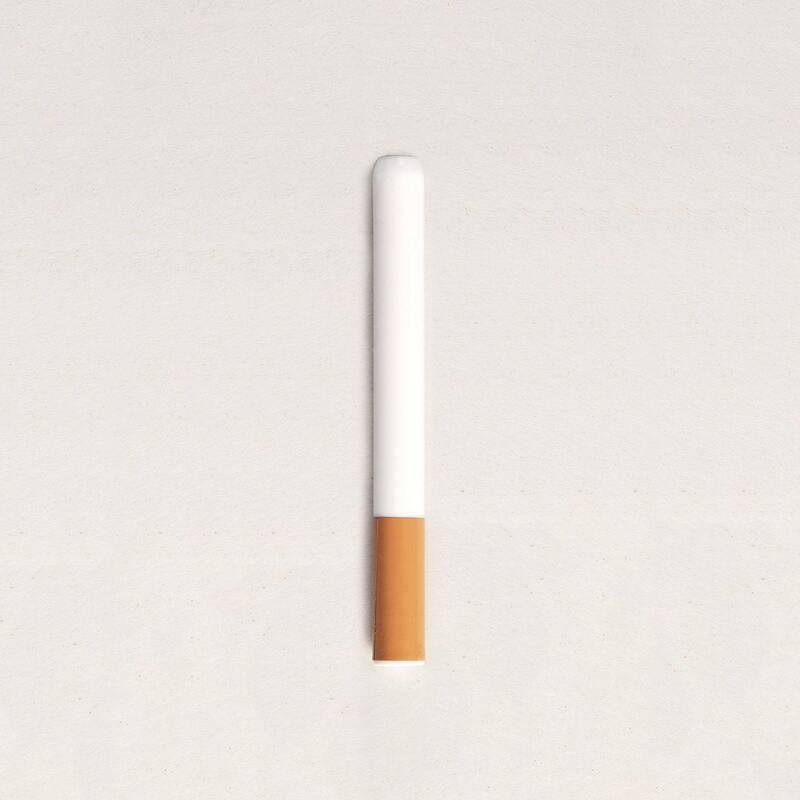 Another device that’s made to resemble a cigarette is the one-hitter. Not only is it ideal for when you need a quick hit, but it also doesn’t draw a lot of attention. Depending on where you are, you could always find a secluded spot to toke and rest. Just be mindful of your surroundings. Instead of carrying a bunch of pot on you, bring along a pre-roll. Once you’re done smoking it, the evidence is gone, and no one can bust you. But again, the smell can so don’t forget to cover it up. Unless you’re dying for some THC and have absolutely no other options, don’t spark up in the car. The car is the number one spot to get caught by the cops. Throwing up your hood, hiding behind your shades, and constantly looking over your shoulder will only make you look guilty. Just act and look natural the best you can.